Quiet, warm house in beautiful location. 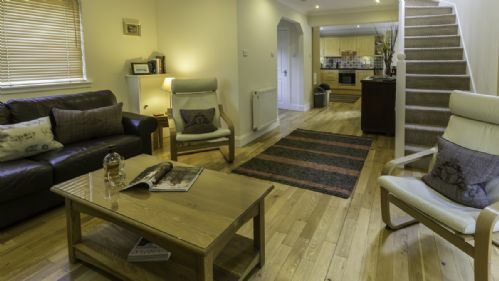 Spacious - with lower ground floor bedroom and two further large bedrooms on the first floor. Enclosed garden accessible down steps from decking, very useful for responsible dog owners. Excellent kitchen facilities. Plenty of walks from the door - along the river and around Taymouth Estate which is fascinating. 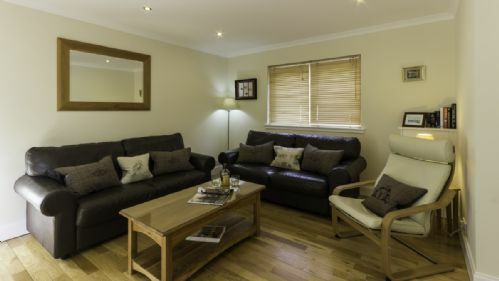 Arrival instructions were clear and helpful, cottage very clean and comfortable. The location was great, with walks from the house and pub and deli very convenient! 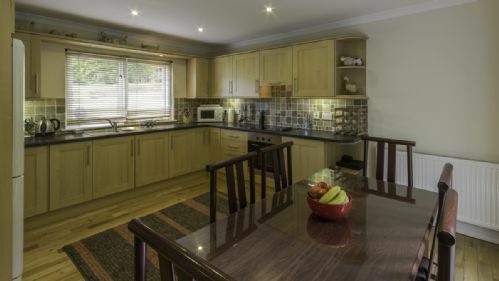 The kitchen was the best equipped of any self catering accommodation I have ever used - we tend to cook ourselves when away and ther was nothing I needed that I didn’t find! Would highly recommend, and we may well be back. 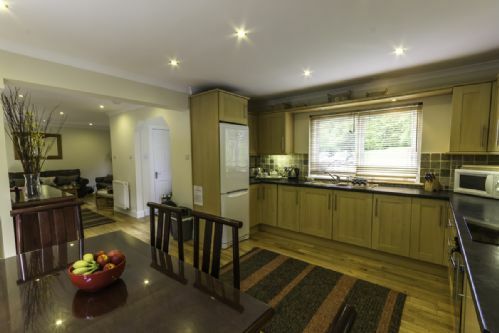 A superb cottage beautifully located, well equipped and a really good layout. Very quiet with very nice neighbours and local folks. 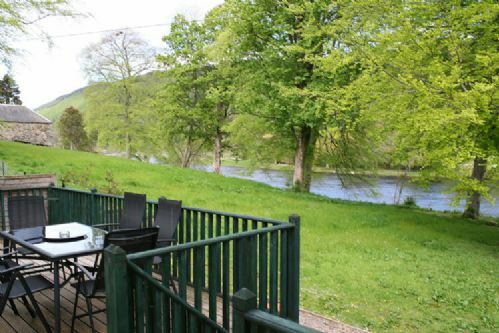 Ideal for walks and fishing as the Tay is 30 yds out of the patio door. I do think though the beds were uncomfortable and that the mattresses should be replaced. There is also an an opportunity that under the decking could be made into a secure bike store at little cost which would attract cyclists. I also think the cottage should be strictly no smoking. There were nickotine smells which required the windows to be opened. Would I go and stay again - absolutely yes! Thank you for taking the time to leave your review; we really appreciate it. I am sorry that you didn't find the mattresses suited you. 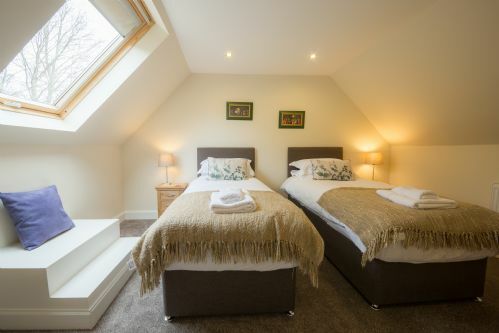 They are all actually pretty new with the twin room and downstairs double only being purchased in the past 12 months and the other room only 18 months ago. Thank you for the suggestion about the bike storage which is a great idea - I will pass this on to the owner for his consideration. Finally, I am very concerned to read your comment about the smell of nicotine as the house is a strictly No Smoking house, as are all of our properties. Our housekeeper is very vigilant about such things and didn't report an issue to me so I wonder if it is possible that it was something else that you smelt. In any event, I will investigate - thank you. Riverview Cottage was an excellent find for us and we had a fantastic holiday. The location, cleanliness and customer service of Highland Perthshire Holidays were all first class. 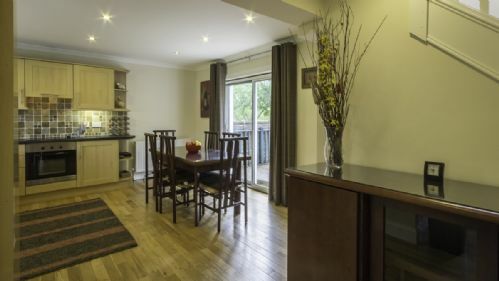 There is everything you need in the cottage, it is spacious and felt like a real home from home. This was our 2nd stay at Riverside Cottage (not something we usually do); we went last year and as there is so much to do, see and walk we thought we'd try and get some more done. I would say we still have several years of visits before we get bored. The cottage is a great place to base yourself. 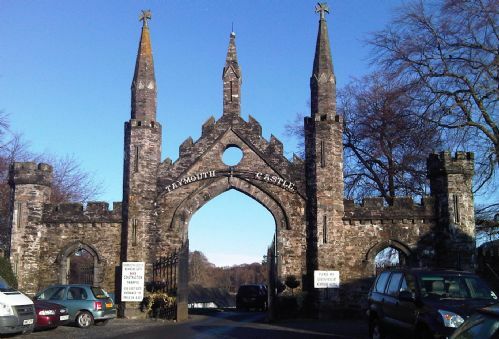 The 3 mile circular walk around the golf course and past the castle grounds, or back along the river, is a lovely way to start the day. The facilities in the village are many and varied. 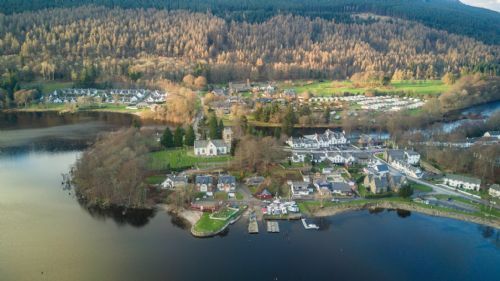 A well stocked village shop and post office within 100mts of the cottage, plenty of good eating places and bars; Taymouth Marina, Kenmore Hotel, The Kenmore Club and the Courtyard at the Mains of Taymouth (which also has a lovely deli). Plenty of walking; Ben Lawers Schiehallion, Drummond Forest and Hill, Kenmore Hill just to name some. Drive down Glen Lyon if you get the chance. 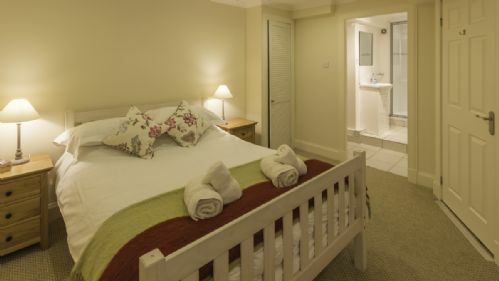 The cottage is very comfortable with all the facilities we wanted and lovely neighbours. Angela, the property manager, is very obliging and sorted out the telly for us very quickly (the satellite dish being replaced on the Sunday). All in all a really great location for either a quite or full on busy break, which-ever you prefer. Thank you so much for your wonderful review Nigel. We look forward to having you return again so that you can continue to work through the list of all the amazing things this fabulous area has to offer! for walks, sightseeing, restaurants, etc. As always the booking experience was very easy and quick. Many thanks to Angela for that. We will definitely return in the future. Thank you! So pleased to hear that you enjoyed your return stay at the cottage and hope to have you back again in the future. Loved the location of this cottage and the beds and bedding were super comfy. 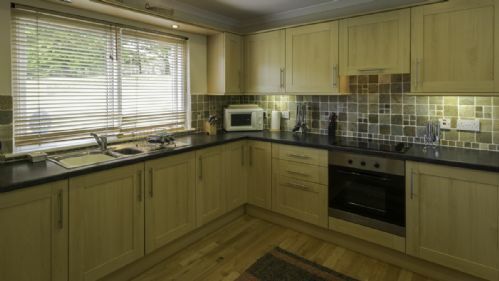 The kitchen was extremely well equipped and most importantly for family sanity in the evenings the WiFi was reliable!! Angela was problem free with great communication at all times. We will definitely be back in the future. 3rd time staying at River View for a New Year break, just booked again for this New Year, the property is clean and comfortable, the property is further Inhanced with the addition of new carpets, there are however a few annoying features, namely the toilet seats in both bathrooms stubbornly refuse to stay in the upright position which is not ideal when being used my males, the settee and chairs in lounge are not that comfortable, but that could just be us being picky. Would highly recommend River View . The cottage is well situated overlooking the river on one side and greenery on the other which looked particularly attractive with the autumnal colours. It is also a stone's throw to the hotel, restaurants and shops so very handy to nip out for food and drinks. Lots of great walks on the doorstep so a dog lovers paradise. Kenmore itself is also a lovely wee village. Major niggle for us was no dishwasher which was totally unexpected and we could have done with more than the two dishtowels provided. There also isn't a drier and with Scottish weather what it is, there was nowhere to dry clothes quickly. Perhaps buying one of those hot air driers that you plug in from Lakeland would be a useful addition? That said, everything else was very comfortable and the cottage is otherwise well-equipped with good Wi-Fi which kept our children particularly happy. Parking on the doorstep also very convenient. 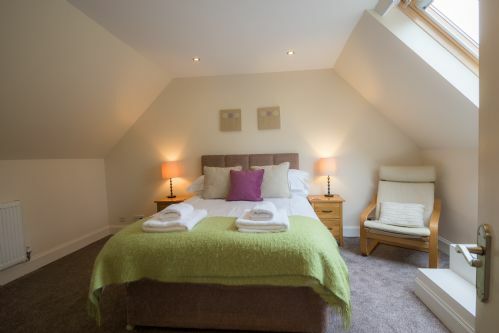 I am delighted to report that since your visit, the owner has had extensive improvements done to the house including new carpets, new beds and furniture in the twin room which now has a zip and link option and there is a dishwasher being installed this week! In addition, the deck area has been improved to make it far less slippery in the wet. This cottage could not be in a better location - just through the stone arch so you can walk everywhere, lots of places to eat out nearby. Cottage over 3 levels and all rooms were spacious and clean, with lovely furniture. Only downslide was deck was very slippy. But walk out the back garden gate and you are 10m from the river, walk out the front gate and you are 30m from the historic stone arch. perfect!